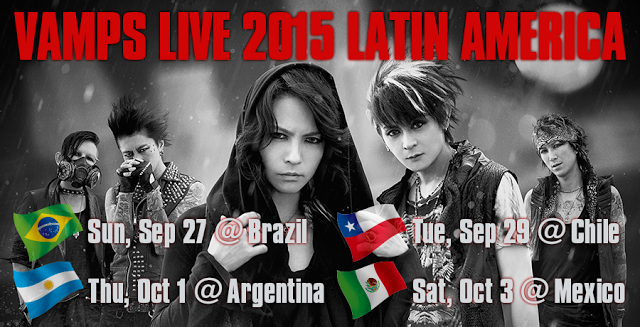 VAMPS - South American tour venue change | VKH Press – J-Rock & Visual Kei Coverage Worldwide! It was announced earlier this month that VAMPS' first stop on their Latin America tour would now take place at Cine Joia. The date (September 27th) and time for the show are still the same, and tickets purchased before the change will still be accepted. Tickets are still available here through Ticket360.